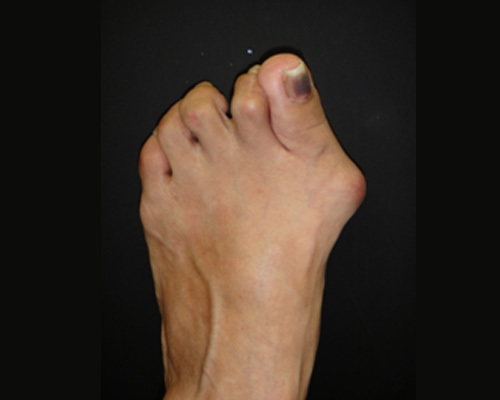 Corns and Callus formation: A painful callus can develop on the side or bottom of the big toe or big toe joint. 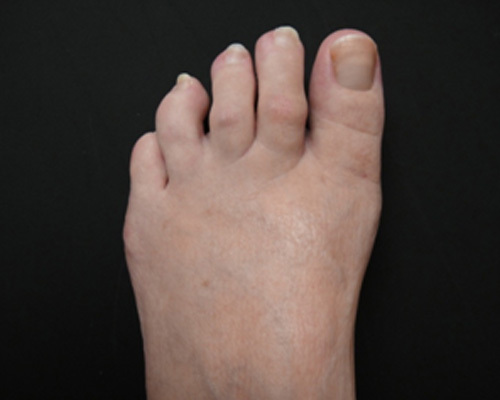 A corn may be present between the big toe and second toe from the pressure caused by the bunion moving the toes. Clinical observation of the bunion is typical to make the diagnosis. Your doctor will ask you questions about the symptoms you are experiencing. 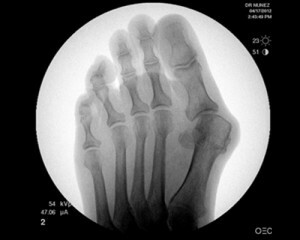 The structure and biomechanics of the patient’s entire foot is examined. Bunions are often termed mild, moderate or severe. 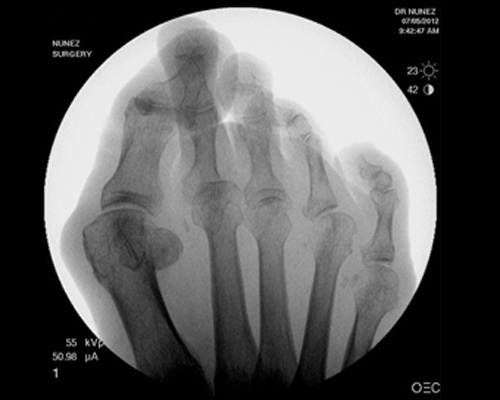 X-ray evaluation is essential in order to determine the degree of the bone shift and specific angles and the relationships between the bones. This enables the surgeon to have a better understanding of the degree of bone deformity to ascertain the best treatment. Both the traditional and minimally invasive bunionectomy techniques are performed at the Coeur d’Alene Foot and Ankle Surgery Center. Due to the fact that the minimally invasive techniques are less traumatic, and the recovery time shorter, most patients prefer this method of correction. Each patient is unique, and the doctor will discuss which technique he feels best suits the patient for optimal outcome. 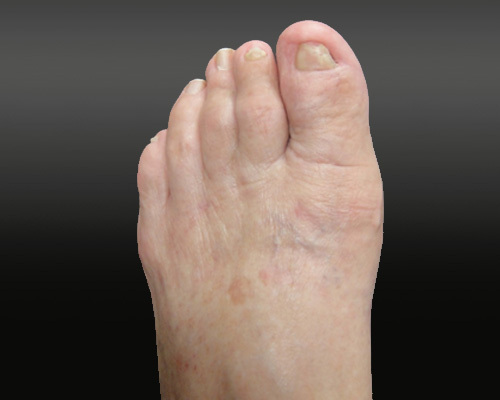 Dr. Nunez does a minimally invasive ambulatory surgical technique to correct bunions. 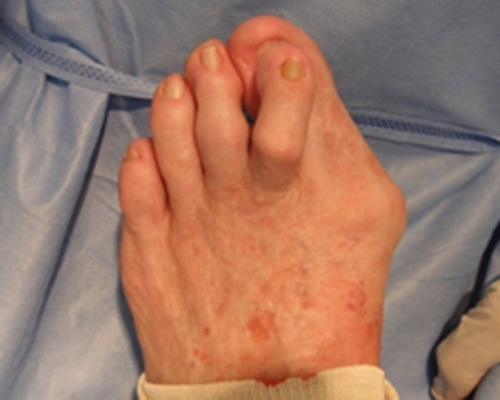 It involves making a small incision less than 1cm to remove the bony exostosis or bump located along the side of the foot. 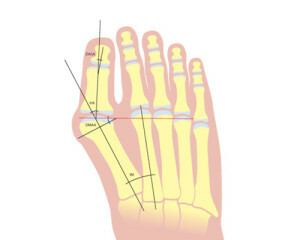 He then makes another small incision on the top of the big toe to bring it into proper alignment or position. The small surgical incisions enable the surgeon to use fine specially designed instruments to obtain the best cosmetic result. MIS surgeons are able to rely on a compression dressing for stabilization immediately after surgery, eliminating the need for pins or screws enabling immediate ambulation. Most of the time it is unnecessary to fuse the toe joints. Getting back into regular type shoes depends on rate of healing and amount of swelling, which is very individual. You will have a bulky dressing the first week. 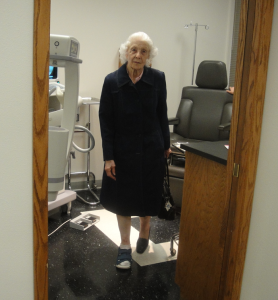 Dr. Nunez usually likes to see you back at the clinic after two to three days for redress, if physicality allows, or 5 days after surgery for our out-of-town patients. In one week your dressing is changed to band-aids or bandage strips, a spongy material toe separator and disposable ace bandage type wrap which you yourself change daily. This dressing is worn three to four weeks. No dressing is usually required after this. The patient leaves the facility walking with a special surgical boot or shoe only. This will be provided for the patient. Crutches or walkers are usually NOT needed.